I’ve been quieter than usual these past few months, focusing on a lot of behind the scenes things. It’s in production, moving along, although not as quickly as my ambitious self had hoped. My launch date has been moved back a few months–when I have a definite timeline, I will let everyone know! If you pre-ordered the guide through my fundraiser, you’ll get a copy as soon as they are available. If you didn’t, you’ll have an opportunity to order one once they are printed. Stay tuned. You may have noticed that there are new ads on the blog. It’s something I’ve considered trying for years–although I personally don’t love them, they are a sad fact of life on the internet these days. This blog has been a labor of love for over five years, and I’m trying out the ads to see if I can at least cover my costs with them. If you have feedback about them, you can email me. This particular set-up doesn’t allow me to reject individual ads, so I’d like to know if there are offensive ones. Lastly, I’ve gotten a few requests about this, so FYI: if you ever want to send some monetary love my way, to support this site and the work that goes into it, you can always send donations via paypal (email address: miriamzperez@gmail.com). I’m always looking for new doulas to profile. It might take me a while to get back to you, or to post your interview, but rest assured it will happen eventually! 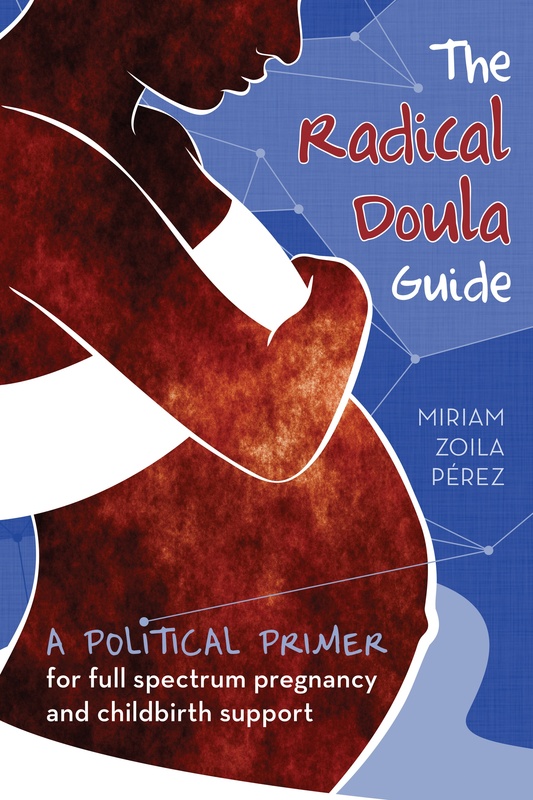 If you want to be part of the series (and I’ve heard doulas have gotten referrals and such through being part of it), email me and I’ll send you the instructions. I published my first column at RH Reality Check yesterday, where I’ll be publishing biweekly. Just a reminder that you can sign up here. It will likely be sent just a few times per year.